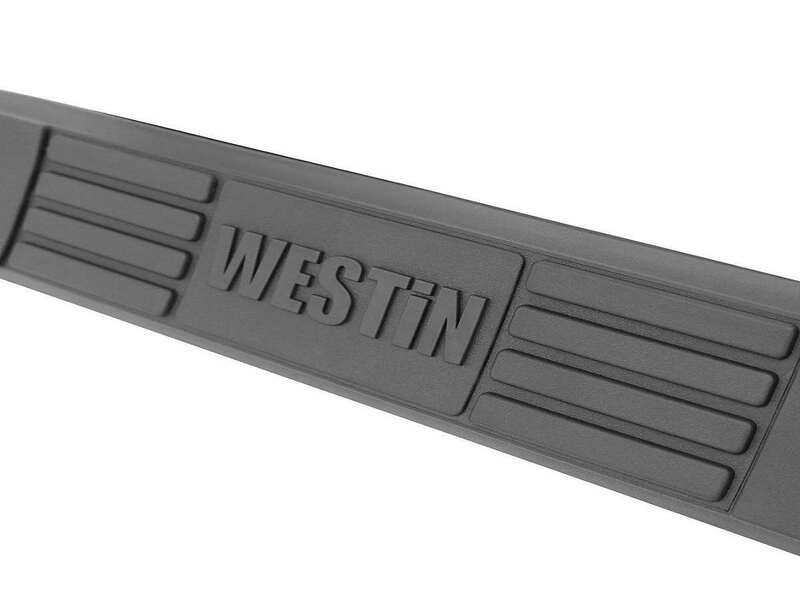 Westin E-Series Nerf Bars are made of 3 inch diameter round tubing and are custom fit for your vehicle. The step design and mounting method varies slightly by application but all sets come with a mounting kit and hardware. 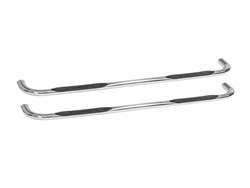 The bars are available in polished stainless or black powder coat finishes to make sure you get the look you want. 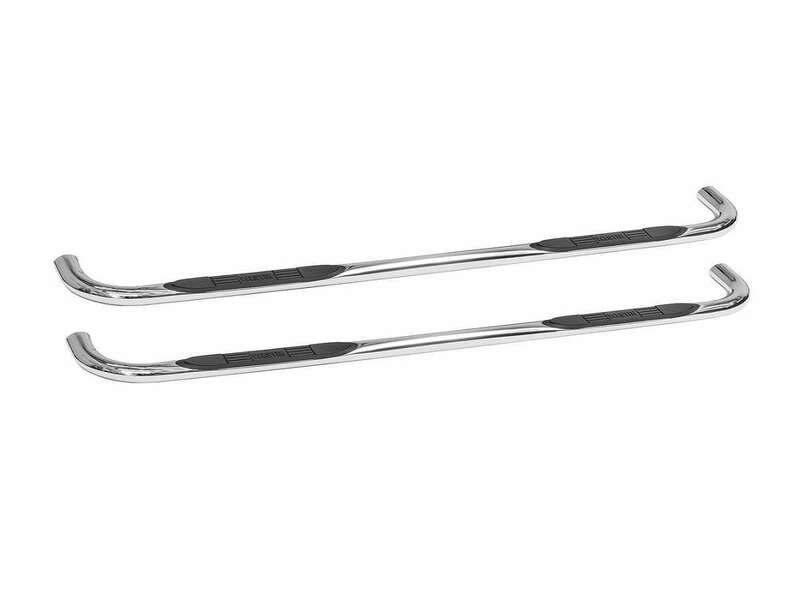 Westin backs the stainless bars with a lifetime warranty and the black powder coats with a 3 year warranty.